While i was busy having raya family gathering, i received a link from a friend.. So i opened the link and found out something hilarious. OMG we are in ohartis.com!!! 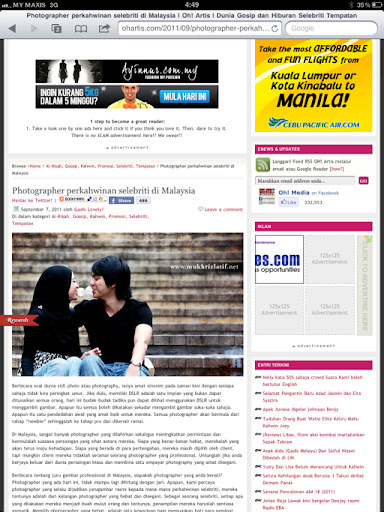 That is like the most kepochi-jage-tepi-kain-artis local celebrity website i've ever read.. Hahaha! Selebriti kah daku??? Hehehehe. NOT.